Outplacement is the support services that responsible employers provide to employees, who are exiting their business, to help them transition into new jobs and reorient themselves into the job market. 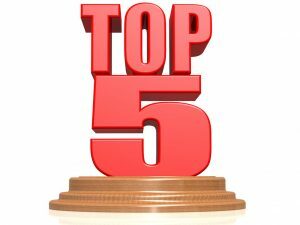 According to Forbes (2016), the outplacement (career transition) industry is more than $5 billion. Outplacement services typically include resume writing, LinkedIn profile development, job search guidance, interview preparation, and career coaching. Outplacement services can be structured to offer support in a group format or one-on-one sessions. Technology has transformed the outplacement industry by providing virtual outplacement services, where all services can be done via phone, video conferencing, and email versus only in-person. Virtual outplacement services allow much more flexibility to the candidate as they do not need to physically travel anywhere and meetings can be done after normal business hours. Most outplacement services offer their consultancy services for a fixed period, usually anywhere from 30-days to a year, which depends on the employee level and comprehensiveness of the employer selected service. The best outplacement services will provide ongoing support versus a one-time consultation and resume preparation. 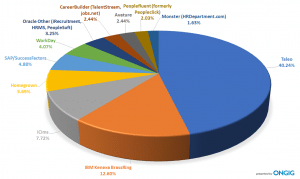 There are many benefits to employees when being offered outplacement services. Probably the most important attribute of outplacement is to give employees emotional support and provide career coaching, which can help the employee determine the right career path and possible alternatives to consider. 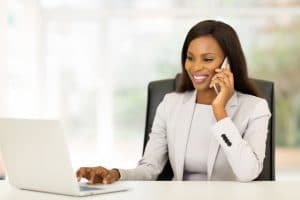 Career coaches can help displaced employees develop a personal website to help establish personal branding and assist with skill development to make the candidate more attractive to employers. 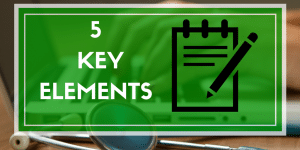 The employee should be able to work with an outplacement specialist who will help them revamp their resume and create cover/follow-up letters. The outplacement specialist will also develop and/or update the displaced employee’s LinkedIn profile and educate them on how to effectively utilize it for networking and applying for jobs. 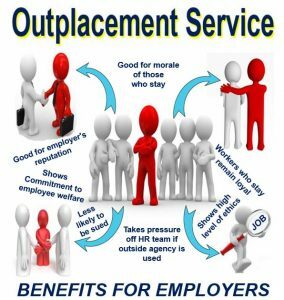 The outplacement firm will assist the displaced employee with their overall job search, which may include how/where to apply for jobs, using LinkedIn/various job boards, networking strategies, and connecting with executive recruiters. Additionally, some outplacement firms will have their own relationships with employers and may even have their own job search databases. Finally, the outplacement firms will help prepare the displaced employee’s with interviewing, which may include interview preparation, conducting mock interviews, helping the candidates prepare for telephone/video/digital interviewing, and how to effectively follow-up with new employers. 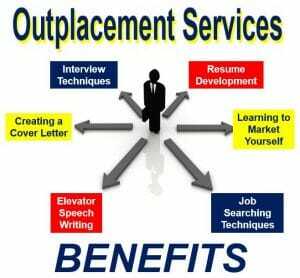 There are many benefits for employers as well to provide outplacement services. Outplacement can help bolster an organizations productivity, profitability, brand value, and reputation. Corporate branding is extremely important to companies and has a direct impact on attracting new talent and increasing employee engagement. Companies that use outplacement services show employees that they care about their well-being and what happens to them in the unfortunate case of layoffs. Corporate Responsibility Magazine/Allegis Group Services Study (2012) revealed that 69% of people would not take a job with a company that had a bad reputation, even if they were unemployed! According to the Harvard Business Review (2016), a bad reputation costs a company at least 10% more per hire. Another major benefit to employers is that outplacement services helps reduce corporate liability and the potential for litigation by the employees who are angry about being let go. Getting laid off is a very frustrating and potentially life-changing event, and when companies do nothing to help employees with their transition to a new job people become very bitter and even unreasonable. Outplacement will help focus the displaced employee’s energy on acquiring a new position with a different company that may even be better than what they originally had. Outplacement is something that many employees may have to deal with after an unfortunate layoff. Outplacement firms provide support to employees who are leaving the business and help people transition into new jobs while helping the company save face. The World Economic Forum published The Future of Jobs (2016), which provides specific information about employment trends and the impact on job functions, and highlighted the necessity for outplacement programs that help minimize workforce disruption and enhance the company’s brand. ← What is the International Monetary System?